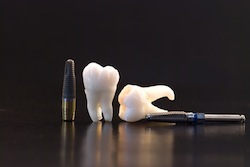 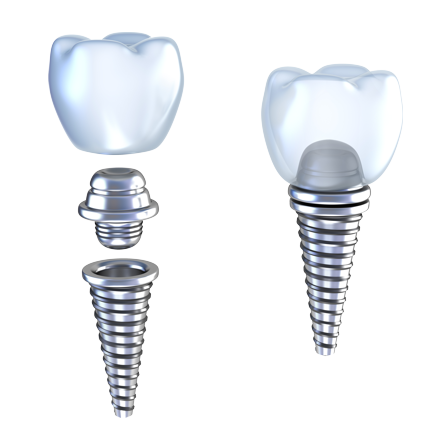 The Dental Implant is Often Called, "A Second Permanenet Tooth"
The strength of chewing with a denture accounts for only 1/20 of natural teeth. 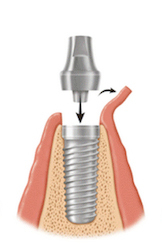 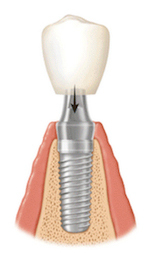 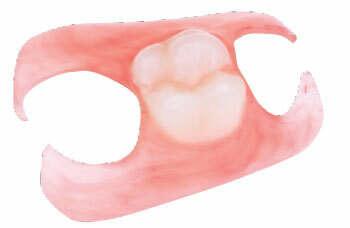 In contrast, the implant has the same strength of chewing as a natural tooth. 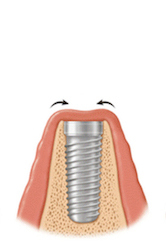 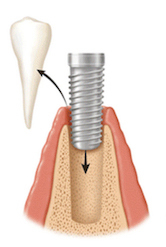 Therefore, with an implant, you can chew hard food well. 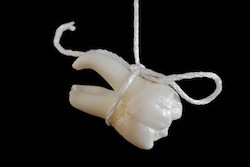 With collapsed bite and loss of vertical dimension, the distance from your chin to the tip of your nose decreases, making your face shorter.